April 11, 2019, prompt: In 99 words (no more, no less) write a story using the phrase “beggars can’t be choosers.” Go where the prompt leads! Ted Williams had once made a career out of his voice as a radio announcer in the early 1980s. But then alcohol and drugs brought him down. In 1994, he was evicted from his house. During this period, he was arrested at least seven times on charges including theft, drug possession, escape, and robbery. He served three months jail sentence in 1990 for theft, and two months in 2004 for theft and obstructing official business. On January 3, 2011, Doral Chenoweth, a videographer for the Columbus Dispatch in Columbus, Ohio, located Williams. He was standing next to traffic, holding a cardboard sign with a handwritten advertisement of his voice and a request for donations. Chenoweth recorded an interview with Williams who elaborated on his education and the problems that led to his homelessness. The video was reported to YouTube, and it went viral. His story gained attention on social media with users pledging money, clothes, and job offers. Williams went through the rehabilitation and was declared sober after a year. 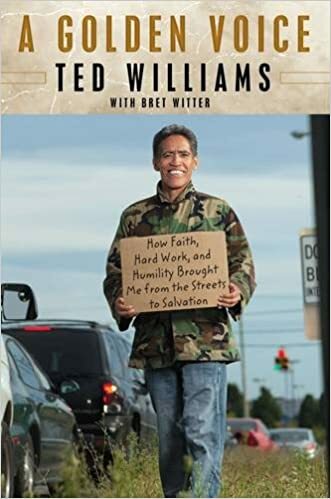 In his book, A Golden Voice: How Faith, Hard Work, and Humility Brought Me from the Streets to Salvation, he reflects on his cocaine addiction and abandoning his children. In January 2013 Williams said he was steadily employed as a commercial voice-over artist for Kraft Macaroni & Cheese. He has also started the Ted Williams Project with Kraft, a non-profit foundation that provides necessities to homeless shelters. 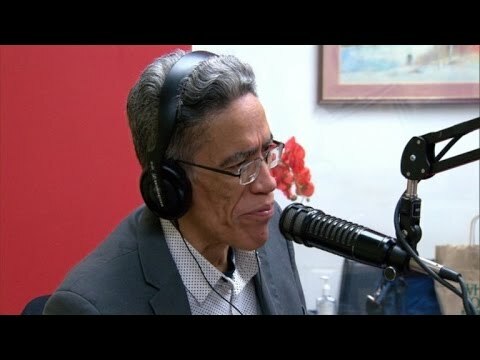 In January 2016 he started co-hosting a radio show on Columbus’ “The Praise,” WVKO-AM, the same station where he began his radio career in the 1980s. The station’s general manager said they believed in giving second chances. A man saw a homeless person begging. The beggar’s voice sounded familiar, but he had to move on with the traffic. The next day he saw the beggar again. 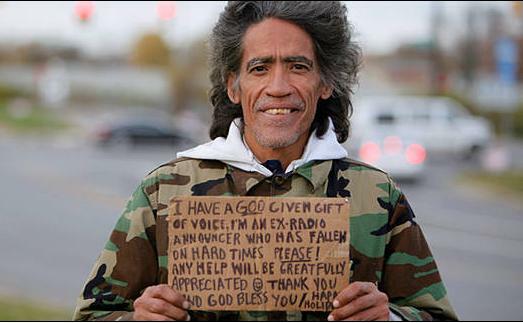 For the first time after 20 years, the beggar had numerous job offers. He worked in the radio show again. “Beggars can’t be choosers” didn’t apply to him. What a story to share and create into a flash fiction, Miriam! It makes me think that he still had hope. And look at how it turned around. But it takes a person to give a helping hand up. Yes, Charli. He waited for 3 more years to get help after he stopped drinking. It wasn’t an easy thing to do. I wonder how many homeless folks get help in a timing manner. brilliant telling. I had heard about this gentleman in the news.. Thank you Violet for reading and comment. Yes, this is an amazing story. It must be hard after he stopped drinking in 2008 until he got someone’s attention in 2011. Awesome and inspiring! Thank you, Miriam. 🙂 And, thank you again for your birthday blessings on Facebook. That was really sweet. Love you and have a great week!! I’m happy for your birthday. I like your new photos on your blog. I’ll be over to check it out, perhaps on Monday. Oh wow! This is amazing and just really uplifting, Miriam! God is truly very gracious, and I personally know we are given second (and even third, fourth, etc.) chances. Thank you for sharing this! Truly “beggars can’t be choosers” does not apply to everyone, especially this man. Yes, Johnathan, it’s true that God gives us second and third and fourth and more chances. I also personally experienced many chances in my life journey and am grateful, even though I thought I didn’t deserved them. Like the prodigal son, Ted was far strayed away but he was ready to return home. Apparently he stopped drinking in 2008 but was not “rescued” until 2011. Thank you for your comment, Jonathan! And thank you again for sharing this wonderful story! Miriam, I really felt happy when I read the ending. Quite a fairytale one at that. Thank you for reading, Miriam. I was really inspired when I first read the news and watched YouTube. It was an amazing true story. He was even united with his mother. very nice post Miriam! interesting to learn more! Thank you for reading, Carol. I believe in second and more chances! Thank you, Elizabeth. somehow WordPress caused my site to unfollow some blogs. I just followed you again. Thank you for your comment and I’ll reading your post right away. Thank you, Robbie. I believe in second chance also!